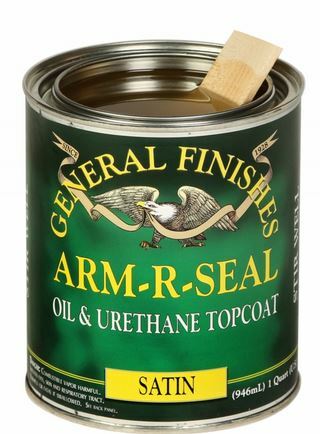 Topcoats are made with only the highest quality urethane resin, making them extremely durable and long lasting. They are formulated to be wiped on with a cloth or applied with a foam brush, thus eliminating drips and sags. They penetrate to provide deep down protection and that " natural" look. We are sorry – there are NO RETURNs when it comes to paint or paint products. Think about it- would you ever want a quart of paint or top coat sent to you - that was shipped to someone else prior? We eliminate any potential issues with this policy.